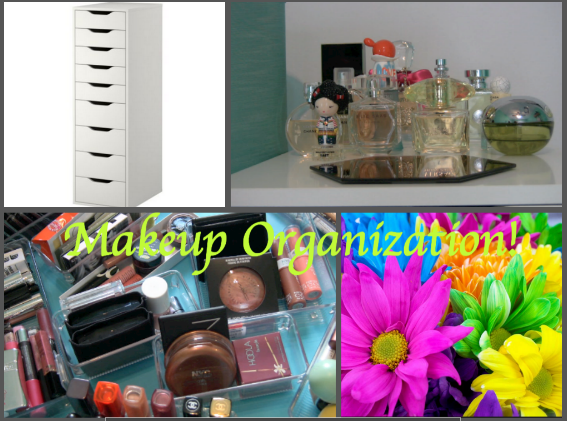 Organize your Makeup Collection! 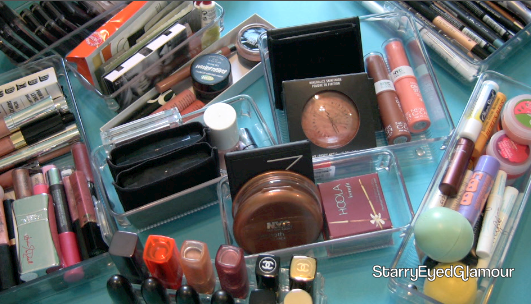 Organization Tips + get Germ Free Makeup & See how I organized my Makeup Collection! 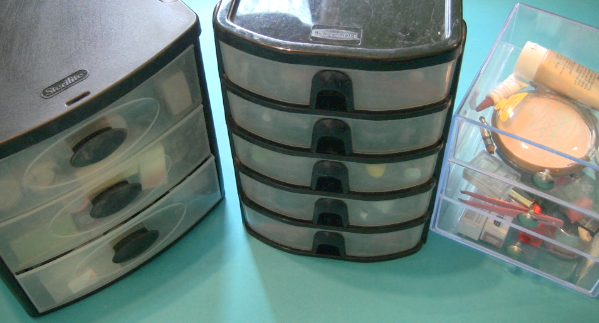 Buy drawer organizers to prevent small items from rolling around and to avoid a jumbled up mess I decided to invest in a few clear drawer organizers from the Container Store. I like the clear acrylic ones because you can easily see what's inside. They can get expensive so try to wait for a promotion to get a better deal. I re-purposed my old jewelry boxes to organize small items such as tools, and samples. You can also use your birchboxes, glossyboxes (these are beauty subscription services, where each month you get a small box filled with products to test out!) or any other containers you find around the house to group and separate your products. 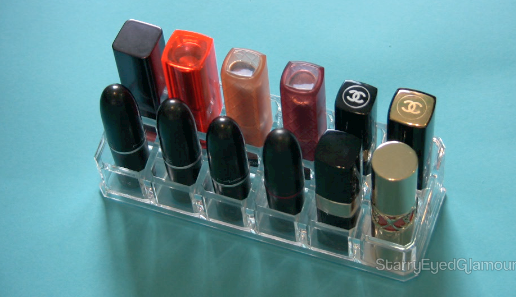 I love lipstick organizers! 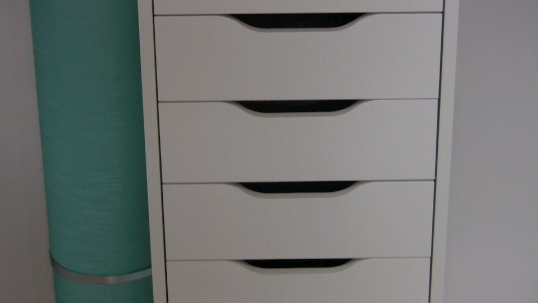 Not only does it look great on your vanity but it's the perfect solution for storing lipsticks. You can easily see the colors you have and quickly pick out the color you want to use for the day! Using baby-wipes clean the packaging of your products to get rid of fingerprints, dust, dirt, and the residue of makeup. If you own the Naked Palette you know that the velvet packaging is hard to clean but I have found a solution! Run a lint roller over it to pick up the dirt and it looks almost as good as new. After the packaging is clean we want to clean the product itself! 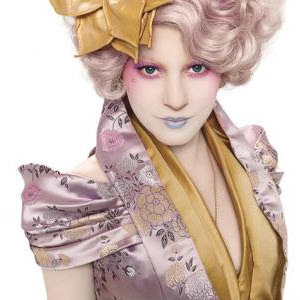 Take a spray bottle, and fill it up with rubbing alcohol.You then want to spray your makeup with the alcohol, lightly letting the mist fall over the product to kill any germs and to extend the life of your items. Holding the bottle a few inches back, go ahead and spray your lipsticks, blushes, eye-shadows, eye liners, cream, and powder products. Basically everything except your mascara or lip-gloss since we can't spray the alcohol into the tubes. Set the products out to dry and they will be good as new. Don't worry about it ruining your makeup because from my experience it doesn't. 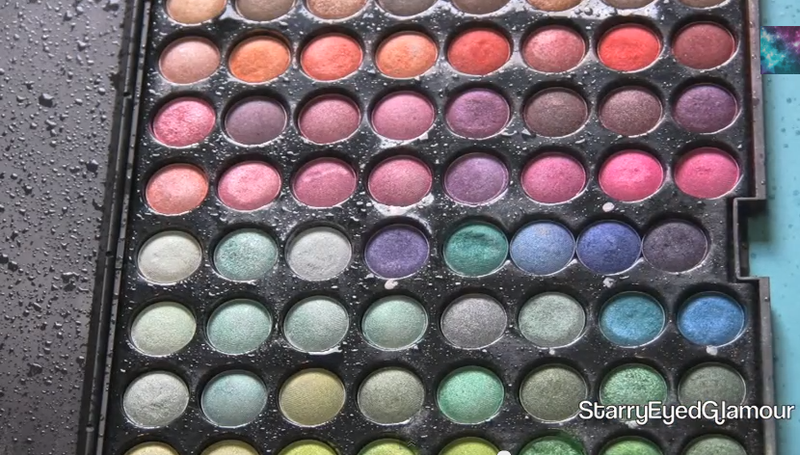 After the makeup is wiped down it's time to edit your collection. 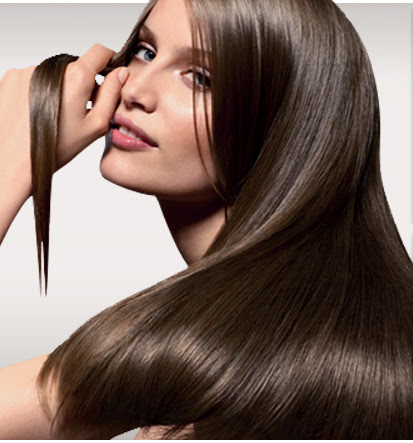 Get rid of any products that are passed their prime, if they dried out, started to smell weird, etc... If you no longer use or like the products try passing them on to your friends or family members because they might enjoy it. So what fun is cleaning without a little bit of play time? As you go through your collection, swatch your products, play around with color combinations, see what you have, and you might rediscover an item you forgot about, or fall in love with a color you neglected before. 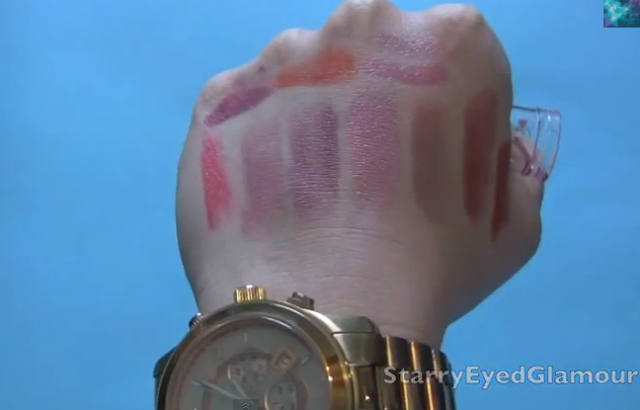 So swatch away and have fun feeling like a kid in a candy store! 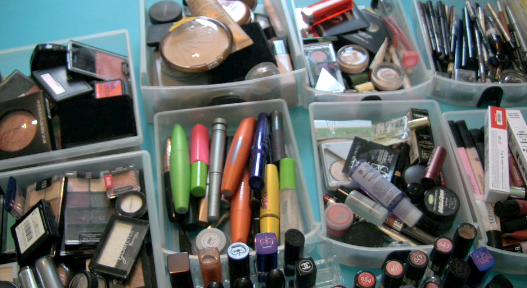 After you organized all your makeup into their compartments it's time to put it all together. You can organize you collection any way you wish and in whatever works for you. 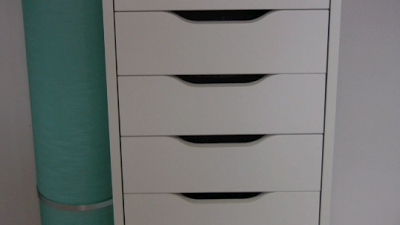 I decided to give each drawer a category working down in the order I do my makeup. So in the first drawer I put my foundations, powders, etc... In the second drawer I organized my blushes, bronzers, and highlighters. 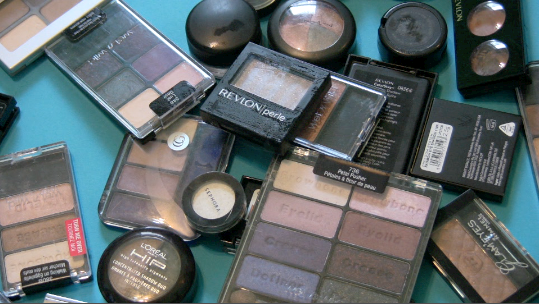 Moving on to a drawer dedicated to my eye makeup, and lastly to my lip products. 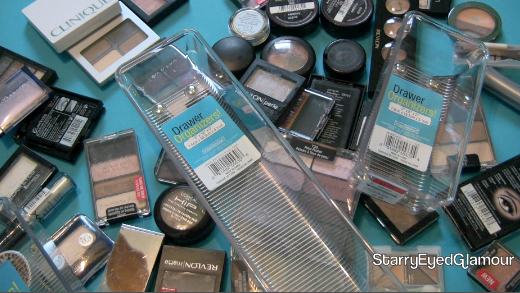 If you would like to see the end result check out my video "Organize my Makeup with Me!" Decorate your makeup area in a way that brings a smile to your face :-) I think perfume bottles are absolutely gorgeous so I decided to display my perfume collection alongside a mirrored plate! 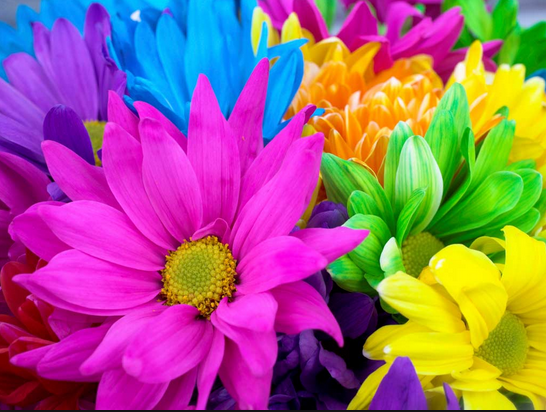 Spice it up with fresh flowers, a nice candle, pictures, anything you wish. Make the area fun and inspirational! 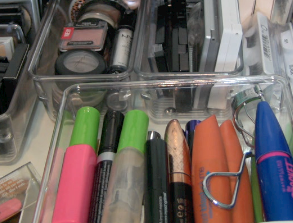 Watch my YouTube video where I take you through my makeup organizing process! Thank you so much for Reading, Following, Watching, & Subscribing!